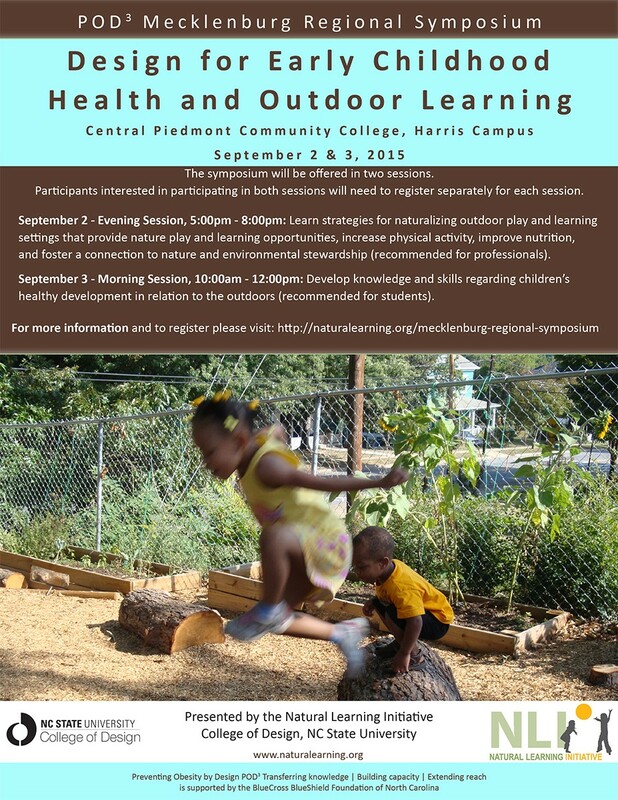 The Natural Learning Initiative at the College of Design, NC State University offered a symposium, Design for Early Childhood Health and Outdoor Learning, to early childhood and associated professionals within and close to Mecklenburg County, North Carolina. This symposium was held on the Central Piedmont Community College Harris Campus in Charlotte, NC. We explored ideas on how to design, plan, and manage the outdoor environment for early childhood through plenary presentations and hands-on sessions.